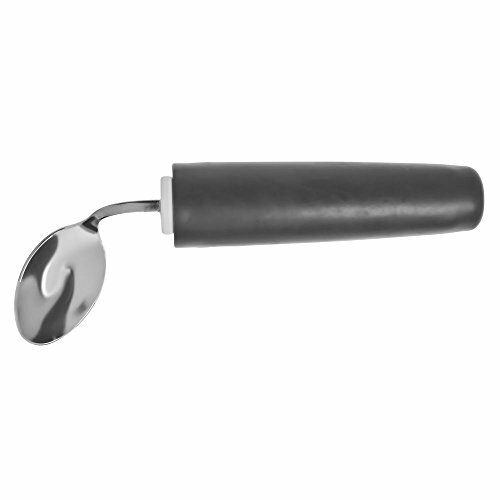 Comfort grip angled teaspoon reduces wrist stress and provides easy use for people with limited upper extremity motion. Stainless steel utensil features handles designed for hands with limited grasping ability. Each Comfort grip angled teaspoon is lightweight, soft and contoured to avoid irritating pressure points. The handles have a soft, rubbery, non-slip surface. This Comfort grip angled teaspoon is specifically for the right handed person.